Today I’m very excited to bring you this interview with one of my favourite historical novelists, Anne O’Brien. 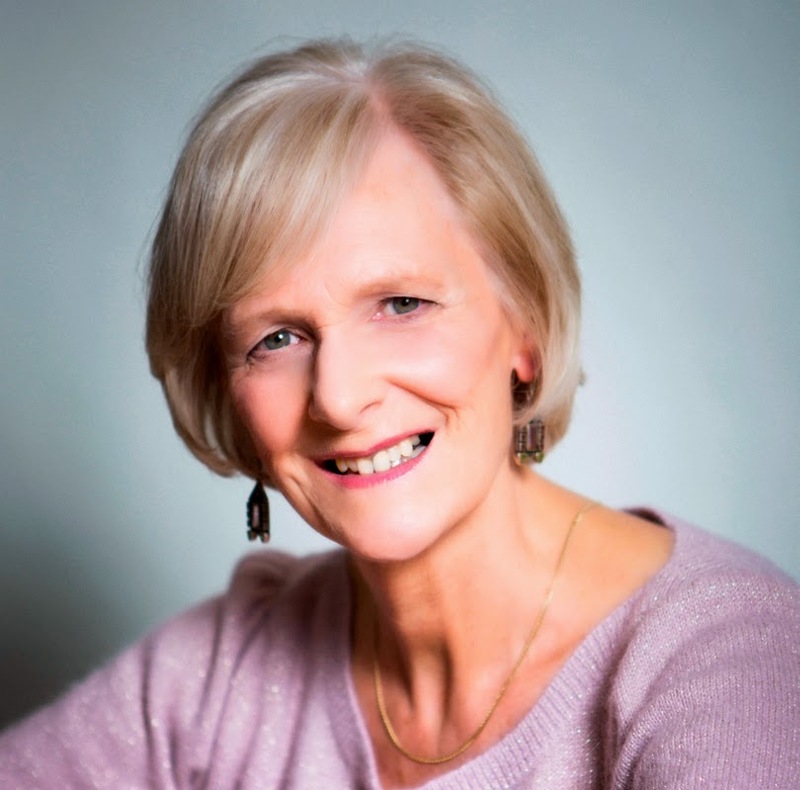 An ex-history teacher with a passion for gardening (she has an herb patch constructed on the pattern of a Tudor knot garden and enjoys cooking with the proceeds) and water-colour painting, Anne was inspired to write by her love of reading, especially historical fiction novels. Her latest novel is The King’s Sister, and tells the story of Elizabeth of Lancaster, a headstrong and passionate Plantagenet Princess who married King Richard II’s half-brother, John Holland. But when her own brother overthrows the King and takes the crown for himself, Elizabeth must choose between the two men she loves the most. What will she do? 1. What inspired you to write The King’s Sister? It all began when I discovered the ‘Princess tomb’ in a tiny rural church in Burford which is in Shropshire, not far from where I live in the Welsh Marches. Being a recent ‘incomer’ to the area, I had no idea that Elizabeth of Lancaster was buried there. I knew about her of course: her Plantagenet connections, her illustrious parentage as daughter of John of Gaunt and Blanche of Lancaster. She had a sister who became Queen of Portugal, and Katherine Swynford had been employed as her governess. But I knew little detail of her life. And then I saw her tomb and she took my breath away. I think I knew that I must write about her as soon as I saw her effigy. Clad regally in red with a purple cloak trimmed with ermine, she is every inch a Plantagenet Princess. Her hair is fair, her face oval and her nose long. She wears a ducal coronet and her hands are raised in prayer. Two angels in red and white support her pillow and a little dog is holding the edge of her cloak in its mouth. She is quite lovely. So there she was: the subject of my novel – if my research could come up with a dynamic and interesting life to make her a true heroine. 2. Elizabeth of Lancaster has gained the reputation of being “frankly wanton and highly sexed”. Why is that, and do you think it is deserved? Elizabeth certainly earned the reputation in her own day. In a time when religion and morality were both important forces in everyday life, and a certain standard of behaviour was expected of a daughter of a noble family, her actions were shockingly scandalous. Elizabeth repudiated her first marriage and was already pregnant before engaging on her second. But saying that, her first marriage had its own problems, (no spoilers here!) and her second appears to have been a love match, and lasting until her husband’s death. This comment by a 20th century historian does not do justice to the turbulence of Elizabeth’s life at the very centre of treason and betrayal. I think we would be far more tolerant and compassionate today of the pressures put on her. But she was undoubtedly a feisty young woman. 3. Not much is known about Elizabeth of Lancaster. Did that hinder your writing process or help your creativity? Something of both, I suppose. How I wish we knew more. All we have is a very sketchy outline of her life in which Elizabeth appears as daughter/sister/wife – but hardly ever as a woman in her own right. We rarely know where she is or what she is doing. But when we do, that is the key to her story. I discovered some very telling comments about her that made me realise the strength and complexity of her story. This made it a true family drama, a balance between friendship, duty and loyalty on one side, pain and treason and heart-breaking loss on the other. And yes, I had to be ‘creative’ to put flesh on Elizabeth’s bones and words into her mouth as I imagined the emotions, the fears and hopes that would drive her. I hope I have preserved her integrity as a woman of the 14th century, as well as my own as an historian. 4. Have you made any fascinating discoveries during your research that didn’t make it into the book? Most of the vital discoveries ended up in the book. Saying that, none of the detail of Elizabeth’s final marriage is included. It is a strange period, when Elizabeth took a step back into the shadows, which is not good material for a novel. But what we do know is again tragic and a time of great loss. Richard, her eldest son with John Holland, died in 1400 when he was eleven. Nor was that the end of it. In the summer of 1400 Elizabeth married Sir John Cornewall, a knight for the west country and a soldier of repute. Elizabeth gave birth to a son John, a boy who followed in his father’s footsteps as a soldier, both of them taking part in the English battles in France in the reign of Henry V. Tragically again, the boy was killed at the siege of Meaux in 1421, fighting at the side of his father. We can only guess at Elizabeth’s grief at the death of these two sons. It is not on record. Elizabeth herself died on 24th November 1425 at the age of 61 years at Ampthill, and was buried in the splendid tomb in the little church of St Mary in Burford in Shropshire. 5. Can you tell us about your writing process? I am a morning writer, starting early – by 8.30 am – after I’ve cleared any urgent admin. Then I write through until lunch. I don’t count words because first draft writing covers more ground than when I start editing and refining; here I work much more slowly. So I simply write for the time I have set myself. But even when my day’s writing is over, the characters tend to live with me and keep me entertained – or anxious. I often find a need to make notes of what they might be saying, or directions of plot I had not previously thought of. So how do I write? 1. An historical timeline is essential: to plot the known facts, dates and the general order of events. This is where the the main body of research takes place. This has to be the bedrock of historical fiction, otherwise it becomes merely fiction. 2. Next comes some characterisation. Some characters are well documented, some barely at all. My characters must be true to the traits they exhibited in real life. 3. Then I begin to write the novel, highlighting the scenes that are absolutely crucial to the telling of the story. I often write them first so that I have them in place and I can see the drama unfolding. I might even write the end of the novel at this stage. 4. By this time my characters are very familiar to me. This is the point at which I start at the beginning and write a full draft through to the end, linking all the main scenes. Then I have something that feels like a complete novel. 5.. Then – the most enjoyable part of all – I begin to add layers, polishing and refining the plot, adding connecting links, thinking what it is that I need my characters to say through mood and action. This is where the historical detail begins to influence the scenes – the costume, music, details on where and how they are living. This is where the book begins to come to life. 6. Altogether I write four drafts followed by a quick read through to test for pace and relevance. The whole process takes me about a year. And the most exciting part, for me, of writing historical fiction? When I discover a crucial piece of evidence that directs the actions of my main protagonists. When I finally realise what it is that makes him or her tick, even if they lived six hundred years ago. Suddenly everything fits together and it is immensely satisfying. 6. If you could invite three people, dead or alive, to dinner, who would you invite and why? Eleanor of Aquitaine, who takes the leading role in Devil’s Consort. Wife to Louis VI of France and Henry II of England, she was a truly formidable and meddlesome woman. Alice Perrers, heroine of The King’s Concubine. Mistress to King Edward III her life was scandalous from start to finish – but what an amazing business woman she was. And Elizabeth of Lancaster of course, The King’s Sister. Three strong minded, forthright, ambitious women. Now that would be a dinner party to savour. I can’t imagine I would have to do much talking – they would have no time for me! I am writing about Joanna of Navarre, one of our little known queens of England, the second wife of King Henry IV. It was not a marriage of long duration, she had little influence on policy in England, but what a marriage it turned out to be – fraught with discord, misunderstandings and danger even though it appears to have been a love match. Joanna was a proud woman, enormously capable, but had some hard lessons to learn in her new role. Because I enjoy writing about relationships within families, this was for me the perfect material. And then there is an accusation of witchcraft to set the whole thing alight. Fascinating stuff. – when you think you have no inspiration, sit down and write. You might be surprised. – when you have very little time, find a half hour to keep up the momentum of your writing. – write quickly to get down the ideas, the conversations, the characters, the story line. The polish can come later. – be true to your characters. Don’t allow them to step out of line. – don’t let rejection stop you. Develop a thick skin and keep trying. And, most important of all, find enjoyment in bringing your characters to life. Let them live with you and talk to you. I promise that you will enjoy it. You can buy The King’s Sister, as well as Anne’s other novels on Amazon. Don’t forget to check out her website, and follow her on Facebook and Twitter to keep up with her.